I'm a Computer Science and Information Technology student at Tribhuvan University. My passion is to develop web application and designing webpage. Also, I am mobile app developer and webdesigner creating awesome and effective visual identities for companies of all sizes. Let's start scrolling and learn more about me. 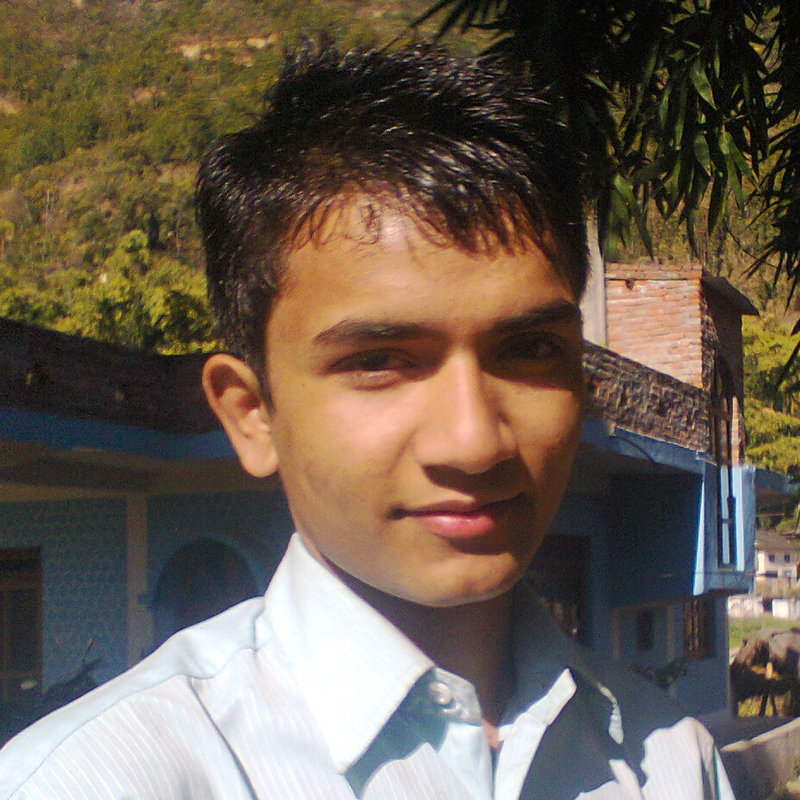 I am student of Computer Science and Information Technology at Tribhuvan University. I love programming and technology field. I want to become a successful programmer and a web developer. My birth place is Chundrikhola. It is located in Chunja VDC, Ward Number-2, Pyuthan district. I am borned from Poudel family. My parents are living there now. For my further study, I have came Kathmandu. Now, I am reading B.Sc.CSIT at Swastik College which is affiliated to Tribhuvan University. My Parents are doing hard work there for me. I miss my parents here so much. My aim is to provide them easier life than they are facing right now. I hope I will achieve my aim soon. I am reading B.Sc.CSIT at Swastik College affiliated to Tribhuvan University. It is located at Chardobato, Bhaktapur, Nepal. I am student from August 2015. I am intrested in programming and web page designing. I have passed +2 in Science faculty from Pentagon International College affiliated to Higher Secondary Eduacation Board(HSEB). It is located in Tinkune Kathmandu, Nepal. I am a Bio Student. I have passed SLC with extra Optional Mathematics and Compute Science from Pyuthan Valley Academy. It is located in Bagdula, Pyuthan, Nepal. I have the knowledge of following. Don't Believe in those eyes which are full of tears, try to scarce with them. © Madhav. All Rights Reserved.